Home Tutorials How and where can I get Bitcoins? As soon as you know the basics of this fascinating cryptocurrency, it’s time to start learning how to get hold of Bitcoins. Remember: Acquiring Bitcoins is a lot different than going to your bank and drawing money from your account. There are two primary places that you can acquire Bitcoins, including people who are selling Bitcoins directly or Bitcoin exchanges. These exchanges are part and parcel of a global network of buyers and sellers. When you’re ready to make a purchase of Bitcoins, there are several payment options available to you. These include bank wire transfers, e-wallets, debit cards, credit cards or even cash. Some Bitcoin sellers may even be prepared to accept other cryptocurrencies/virtual currencies as payment. Throughout, you will notice that the purchase of Bitcoins is not as cut and dried as any other financial transaction you’re likely to make. Whether you using credit cards or PayPal, bank wire or cash, the manner in which you buy Bitcoins is not linear. The main reason why this is the case is that there are no chargebacks for purchases of Bitcoins. This means you cannot simply call your e-Wallet provider or your credit card provider and tell them you would like to reverse the transaction. Most private sellers of Bitcoin will avoid several of the aforementioned payment methods because they don’t want to have transactions reversed. Nowadays, the rise of Bitcoin exchanges has grown in leaps and bounds. Many popular Bitcoin exchanges readily accept MasterCard, Visa, American Express, debit cards, 3D secure credit cards and the like. Before you get started, it is imperative that you get a Bitcoin wallet. Several ranking US Bitcoin exchanges now accept credit cards including Circle and Coinbase. There is also another network that emerged known as Expression in the US, for consumers who do not have credit cards and e-Wallets. They readily accept wire transfers, money orders or personal checks. 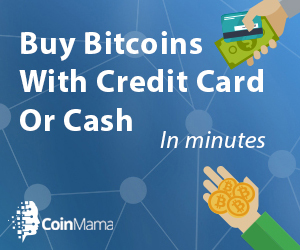 In the United Kingdom credit cards are accepted by Coinbase, Bittylicious and CoinCorner. Once you have decided how you going to pay for your Bitcoins (Visa, MasterCard, PayPal, bank wire, check) it’s time to decide where you are going to store your Bitcoins. These storage facilities are known as wallets and they act in much the same way as a bank account. An important component of a Bitcoin wallet is the security that it provides. Security protocols will vary from one Bitcoin wallet to another, with some offering the highest security protocols (military-grade protection) and others serving as a typical account. It is advisable to choose the most secure method possible based on your personal preferences. There are 3 ways to store Bitcoin, including vault services, your computer’s hard drive, or a web-based Bitcoin wallet. Each of these options has specific benefits. For example, the vault service will use encryption keys to further protect the account offline. There are weaknesses inherent in these traditional options, and it is incumbent upon the individual to choose the most secure option possible. If you decide that you would like to use your computer’s hard drive to store your Bitcoins, you should perform regular backups and use the best possible anti-malware/antivirus software. Daily backups are recommended if you are buying and selling Bitcoins and storing them locally on your PC. Next up, check the levels of security available for web-based Bitcoin wallets. If they only require you to input an ID and a password, that may not your best option. A preferred option would be multifactor authentication protocols with username and password, authentication questions, email and/or telephone verification etcetera. Now that you know about the security protocols that are required for storing Bitcoins, you will want to pick the right Bitcoin exchange for your needs. There are simple wallet services and there are professional Bitcoins exchanges used by high-level traders. These exchanges are designed to store your Bitcoin or fiat currency. In this sense, they act in much the same way as a standard bank account. Regulation is becoming more of a pertinent issue with Bitcoin exchanges, and this means that the increasing amount of information are required to verify accounts. It is all part and parcel of the KYC system (know your customer), and AML (anti-money laundering) requirements. It should be remembered that these Bitcoin exchanges are not infallible to malfeasance, hacks, or bankruptcy. Recall the Mt Gox Bitcoin exchange that ran into some trouble recently. The infallibility of any exchange really depends on the security protocols in place and the value-added services provided by these exchanges. Sometimes, Bitcoin exchanges will compensate their clients for theft but this is not always the case. There is typically no insurance available such as FDIC on virtual currency since they are not regarded as an actual currency by the authorities. Nonetheless, the list of reputable Bitcoin exchanges is growing all the time. More and more people are trying to get Bitcoins to add into their financial portfolios, or simply to enjoy the many benefits of owning Bitcoin.